Drab, gentle-faced songster. Common in summer across much of North America; winters in southern Mexico and Central America. Prefers mixed riparian woodlands and edges. 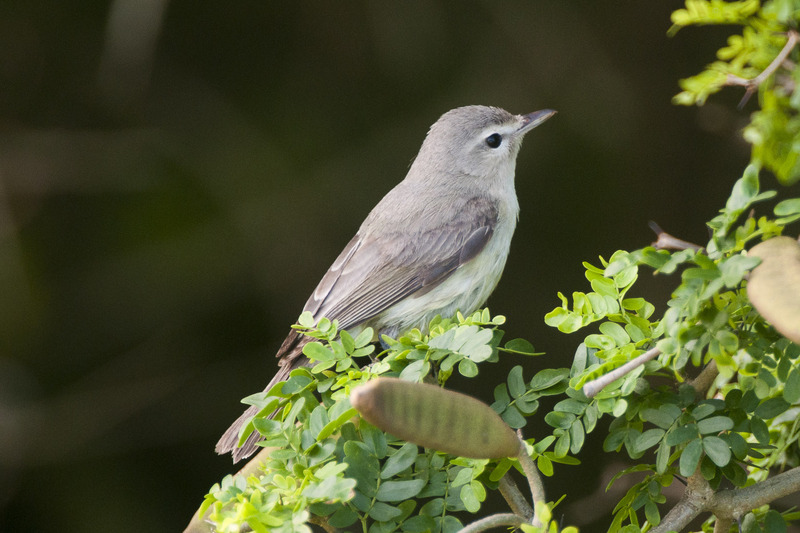 Medium-sized songbird with plump body, rounded head and small, straight bill; gray-green upperparts, pale underparts and eyebrow. Often high in canopy foraging for insects; eats some fruit in winter. Tree or shrub nesting. Lifespan up to 13 years. Population ~ 49 million and overall stable or increasing.